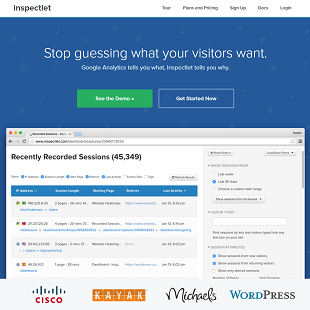 Inspectlet helps you understand the actions and intentions of the visitors to your websites with smarter web analytics. You can also see everything that visitors do to your website by recording videos of what they are doing. By now, you can easily figure out what pages of your website people are looking at, what they are clicking on, and how they are finding your website. 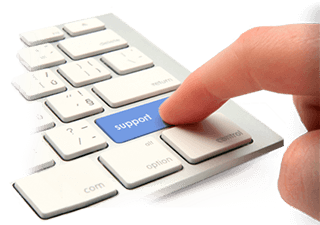 However, there are now several services available that give you more detailed information, including where users are moving their mouse. I have been using several of these web analytics services for as long as they have been available. Some are more useful than others. To help you get a good idea of what application may be best for your services, I have reviewed some of the best options. Here, I review Inspectlet. Founded by Rachit Gupta in 2011, Inspectlet is headquartered in the heart of the Silicon Valley in Palo Alto. 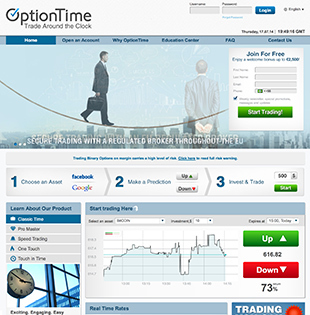 They help companies understand the intentions of the visitors to their websites with smarter web analytics. In the last five years, they have helped more than 40,000 customers unlock insights hidden in their data, such as eBay, WordPress, Cisco, and more. 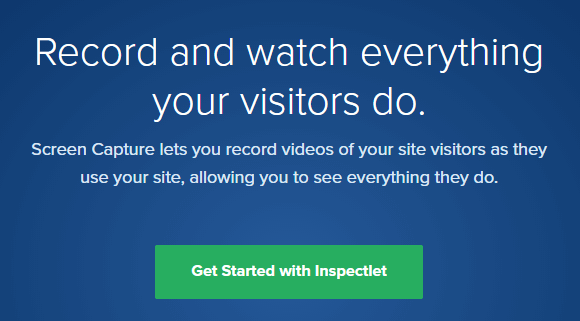 Inspectlet allows you to see everything that visitors to your website do by recording videos of what they are doing. You can view every scroll, mouse movement, keypress, and click on your site. Inspectlet is useful for determining what is getting the attention of visitors to your site as well as where they are getting confused. 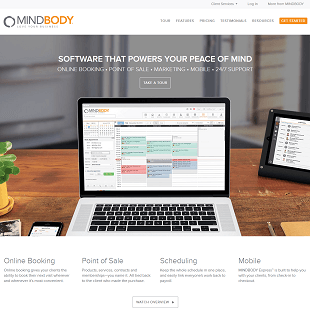 You can increase your conversion rate once you begin to understand their mindset. Inspectlet specializes in user experience and web analytics. The application has been created to improve your ability to understand every visitor’s one of a kind perspective. As you may have gathered, the top feature of Inspectlet is the ability to playback everything visitors do on your site. With this feature, it is almost as if you are looking over the shoulder of users. The information you are able to collect while observing prospective clients is priceless. In addition, you can find the exact users you are interested in watching with Inspectlet’s mature filtering capabilities. For instance, you can find videos of new visitors brought in by AdWords who bought something on your site. All you have to do is select a few checkboxes. There is also a funnel analysis tool that shows you recordings of visitors that added something to their shopping cart but neglected to finish their purchase. With this information, you can figure out ways to close future sales. 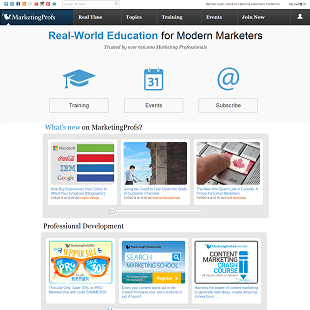 The Conversion Funnels tool shows you why and where people are dropping off. It essentially works by allowing you to define a series of pages that lead towards a goal, such as a purchase or a signup. You can then watch session recordings of users as they drop off on a particular step towards your goal. You will drive conversions up as you track down where potential conversions went astray. If you want to capture interesting events, such as screen captures of users who pressed the play button, you can tag the captures with a “pressed-play” or some other relevant marker. 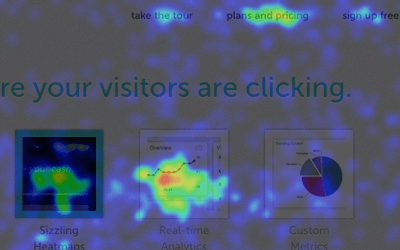 One of the coolest features on Inspectlet is Heatmap Visualization. By providing visualizations of their mouse movements, you can see which parts of the site your users are reading and where they are looking. This is useful because there is a high correlation between eye and mouse movement according to recent studies. Whether it is an image, text they expected to be a link, a button, or a good old fashioned link, you can find out what visitors are clicking on. This allows you to immediately see what is working and what is not. For example, you can see exactly which “buy now” button users are clicking on the most. Do you know how far down your website people are scrolling? With the Scroll Heatmaps, you can make this dream a reality. You can see how many users actually made it to the bottom or middle of the page. This will help you figure out where on your page to put your most important content, such as a special discount banner or the purchase button. With the free plan, you get 100 recorded sessions per month on one website. Additionally, you get seamless AJAX/HTTPS support, compatibility with dynamic sites, playback session recordings, email support, mobile device support, and the Heatmaps Suite. This plan features all of the same perks as the Free plan only you get 5,000 recorded sessions per month instead of just 100. This is Inspectlet’s most popular product. This builds upon the previous plans with the addition of 25,000 recorded sessions per month on three websites, managed multiple account users, Conversion Funnel analytics, and you can download session recordings. You get everything offered in the Startup plan plus 50,000 recorded sessions on up to ten websites, API access, in-depth form analytics, and targeting controls. With this plan, you get everything from the Growth plan with the addition of phone support, and you get 125,000 recorded sessions on twenty websites. For this plan, the price is specifically tailored to your needs. However, it does offer unlimited recordings on unlimited sites. This plan is designed for the titans of industry. In addition, with all of the plans, you get a fifteen percent discount if you sign up for a full year. 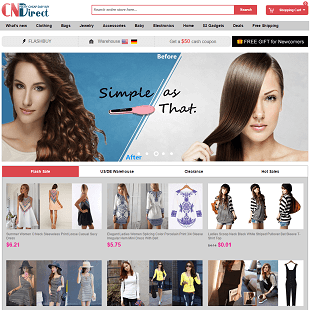 These prices are lower than those offered by competitors for the number of features provided. One of the biggest criticisms of Inspectlet is that the unlimited website tracking and unlimited session recordings are only available for the Enterprise plan. 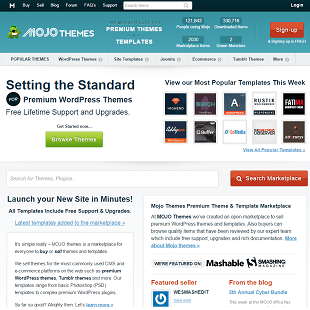 Yet, it is unlikely most users will need that kind of fire power in analyzing their site. Also, the Micro and Free plans do not include a lot of the core functionality. More specifically, they do not allow for Conversion Funnels analytics, targeted tracking, or multiple account users. There have also been complaints of the Free plan being glitchy. Compared to other applications, the Inspectlet Free plan is an excellent tool that tracks your entire site rather than just one page. 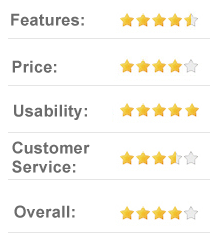 To get a good idea of what others had to say about Inspectlet, I visited the web analytics discussion forums. For the most part, what I found was positive. There were some instances of people echoing concerns about the lower plans being buggy, but it appears that Inspectlet has addressed these concerns with the most recent versions of their app. There are a number of ways to get help with Inspectlet. First of all, they have a massive document library with topics like Installing Inspectlet, Handling Sensitive Data, Identifying Users, Tagging User Sessions, and much more. If you cannot find what you need there, you can move on to the Frequently Asked Questions section, which has dozens of answers. They also have a blog that they update regularly. If you still need help, they have an email address to reach them at. Inspectlet does not publicize the hours they are available for customer questions so it is hard to know for sure how long it will take to get a response to your email. I decided to test out their customer service by sending them an email late at night on a Friday before I went to bed. By the time I awoke in the morning, they had answered my question and pointed the way to documentation. I was a little disappointed that they are not very active on social media, and they do not have a phone line to call them at or live chat on their site. But, you also need to keep in mind that the Inspectlet team is still pretty small. I am sure as they grow, they will have more customer service options. One of the most interesting features of Inspectlet is user and session tagging though they supply complete tracking and analytics solutions for your site. You can follow your users with the tagging feature and track how they change the way they interact with your website over time. The ability of this feature alone to help you watch the effectiveness of the changes to your website makes Inspectlet worthwhile. Yet, there are even more reasons to use Inspectlet. 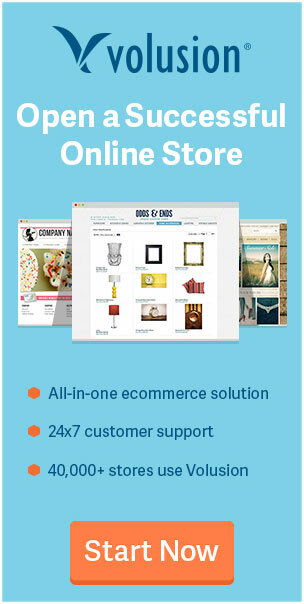 They also offer one of the best website and heatmap analytics tools that you can use to understand more about your users, increase your conversion rate, and measure your website performance. If you run a website, I strongly recommend that you at least give Inspectlet’s Free plan a test drive. If you are serious about boosting your conversion rate and improving your website, consider one of the for-pay plans.